A trip to the detailer isn’t just a luxury day at the spa for your car. It’s part of regular maintenance and can help prevent more costly problems with your vehicle in the future. That’s why ensuring that the materials your car is made of are properly taken care of is so essential to the lifetime of your car. 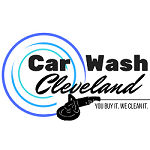 At Car Wash Cleveland, we use our knowledge of materials and experiences with their results to provide the highest quality of service every time. Our trusted and skilled technicians use top rated products to treat your car just like their own. Our on time delivery and satisfaction guarantee proves that we are proud of our services and stand behind our work. At Car Wash Cleveland you can rely on us to do the job right every time with exceptional quality and great customer service.